Head adjusts to any angle, from all the way down for reading, to all the way up to be used as a mini lamp! 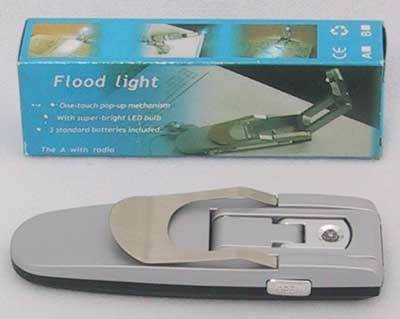 The Folding Auto-Open Adjustable LED Book Light is a compact, bright LED clip-on light. Its adjustable lamp head auto-extends and lights-up with just the push of a button. 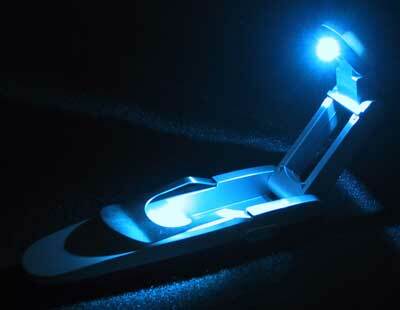 Clips to any size book or magazine, and can be used for convenient table-top illumination. This very elegant and stylish LED reading light works great just about anywhere, without disturbing others! 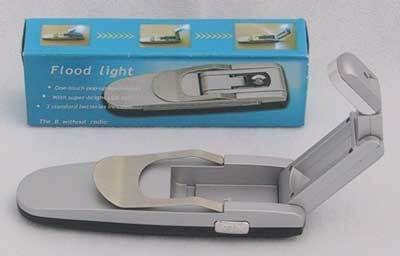 With a press of a button it will provide you with your own personal reading lamp. Stop reading in dim lighting, or disturb your partner, neighbor, or roommate with high-power lights. This LED book light is convenient and portable, making it great for travelers. It illuminates brightly and is great for late night reading, when you don't want to disturb others with an overhead light. Great for reading maps when you are on the road. A simple Press of the button triggers the pop-up book light to automatically unfold, making this item very innovatively cool, as well as modernly stylish. The super-bright led and sturdy stainless steel book clip adds to its overall appeal. Swivel head positions to any angle, and a durable book clip clips anywhere for hands-free use. 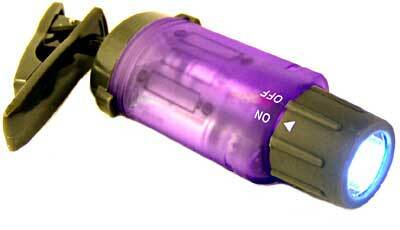 Uses three LR44 or AG13 button cell batteries (included). Folds completely flat. 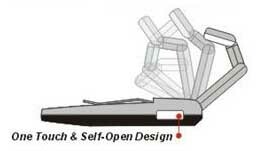 Clips easily only any book, newspaper, magazine, etc. 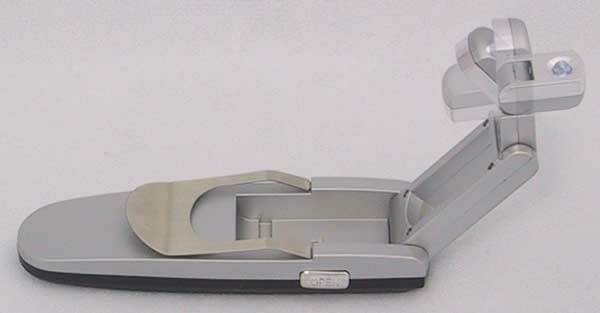 Push the side button and it slowly unfolds as it turns on! Turn the beam up and you have a lamp under the covers or in a tent - great for slumber parties! Super-Bright LED Bulb provides very long battery burn time - over 20 hours! LED Bulb needs no replacing - it is rated for over 100,000 hours! Replacement batteries are available at Radio Shack, many drug stores, or from us. Over 20 hours of continuous runtime off of a set of batteries - lasts many times longer then incandescent flashlights! Dimensions: 4.75" * 1.5" * 1"